Huawei Honor 5C | Another Budget Android? 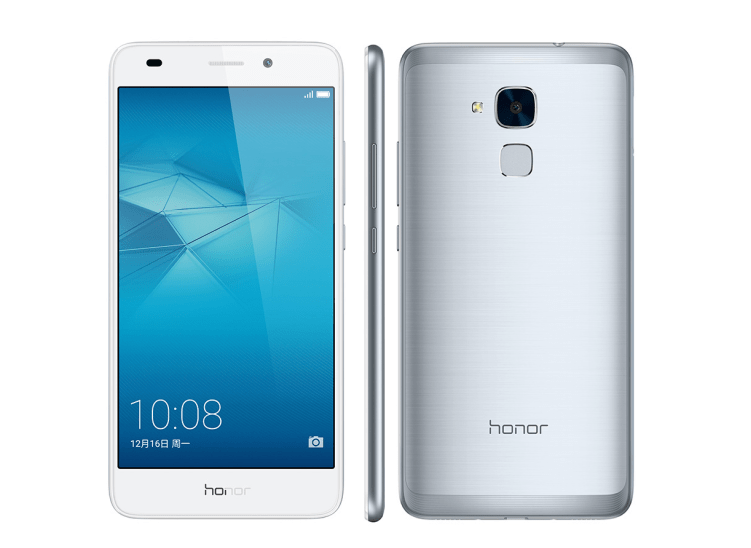 The Huawei Honor 5C sports a Octa Core Kirin 650 CPU, 2 GB Ram, Full HD display. The Huawei Honor 5C comes with 16 GB of on board storage which is expandable upto 128 GB Via Micro SD card using one of the SIM slot (slot 2). Talking about the camera department front camera it has a 13 MP rear camera and 8 MP front camera both of f/2.0 aperture. In terms of design & built it has a metal uni body design. It has a fingerprint sensor at the back of the device just below the rear camera. Octa Core Kirin 650 CPU. 13 MP (f/2.0 aperture) Rear camera. 8 MP (f/2.0 aperture) Front camera. OS Android OS v 6.0 (Marshmallow). Layered with Emotion UI v 4.1. CPU/GPU Octa Core. (2.0 GHz Quad Core Cortex-A 53 & 1.7 GHz Quad Core Cortex-A 53). Hi-Silicon Kirin 650. | GPU Mali T 880 MP-2. DISPLAY 5 Inch Full HD IPS Display. Resolution 1080 x 1920 pixels (~424 p.p.i pixel density). CAMERA REAR 13 MP. (f/2.0 aperture). Resolution 4128 x 3096 pixels. With auto focus and LED flash. | Features: Touch focus, face detection, panorama, H.D.R, Geo-tagging. | Video Features: 1080 p @60 fps, 1080 p@30 fps, H.D.R recording | FRONT/SELFIE CAMERA 8 MP (f/2.0 aperture). FEATURES Octa Core CPU. | Fingerprint Sensor. | Full HD Display. | 2 GB Ram. | 4 G Support. SENSORS Fingerprint, Accelerometer, proximity, compass. CONNECTIVITY Bluetooth v 4.1. | W.I-F.I 802.11 b/g/n, W.I-F.I Direct, Hot spot. | Dual SIM (GSM) Size Nano SIM. It is currently available in China in two variants, one with 3G Support for a price tag of 899 CNY that coverts to 139 US $ (equivalent to 9240 Rupees in India). Where as the 4 G Variant Costs 999 CNY i.e. 154 US $ (equivalent to 10,240 Rupees in India) . Talking about its price and availability in India. We expect it to cost around 9299 Rupees for 3G Variant where as around 10,490 Rupees for 4 G variant. It is expected to launch by the end of May.